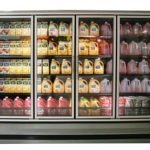 Are Used Grocery Cases Melting Away Your Cash Flow? That great deal can really cost a grocer in more ways than one.  Generally when you buy used equipment you are trading a cheaper price for problems. 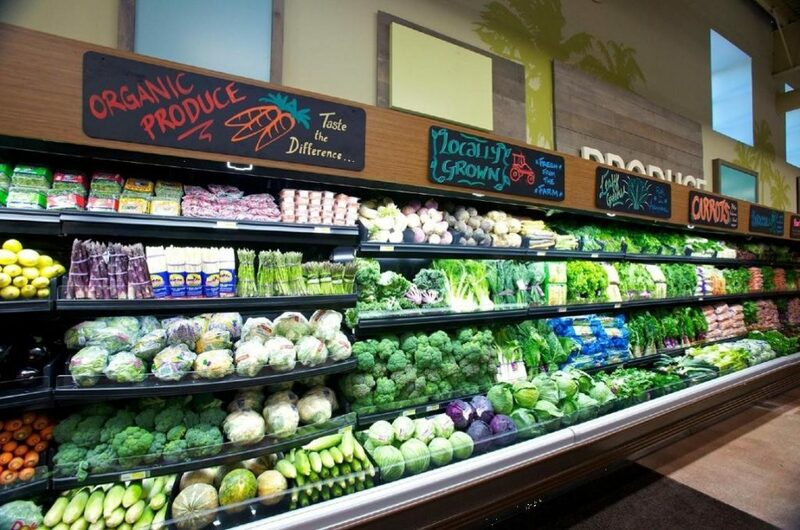 In the grocer business used refrigeration equipment purchases create higher repair bills, increased utility bills from less efficient equipment, reduced equipment life, refrigeration down time, lost product and potentially tarnished store reputation due to equipment being down. To add insult to injury the grocer misses out on potentially lucrative rebates from the local utility company. Pictured above: New Kysor Warren Multi-Deck Produce Case. When you buy a used car for instance, it’s human nature to wonder, why they are selling, what is the maintenance record on the car, what are the facts… the age, the mileage, how many owners, etc. With cars there is often a paper trail that can be produced to verify these things. It may not be true with grocery cases. Perhaps more important, ‘How does it pan out financially with the more efficient equipment that qualifies for energy rebates?’. It’s better to get all the facts, like age, cost, refrigerant type (is the refrigerant expensive or out dated), get the information on whether the cases were moved before (moving them could cause leaks), were they installed by a professional HVAC R contractor or a handyman, what is the energy efficiency of the unit and then contact an HVAC R contractor that works with the utility company analysts to see what the differences are. Cold Craft, Inc. knows of grocers that have opened their stores with used equipment only to find that the energy costs were too high, so they had us work with Pacific Gas and Electric to see what rebates they could qualify for with brand new Kysor Warren cases. They did the math and changes out the cases. Their stores are flourishing now, not only did they save on reduces energy costs but the customers loved the new cases that really made the food pop in the cases. If you have a grocery store with the always on refrigeration, call Cold Craft and we can work with you to get an analysis done to see if new cases are in your future. 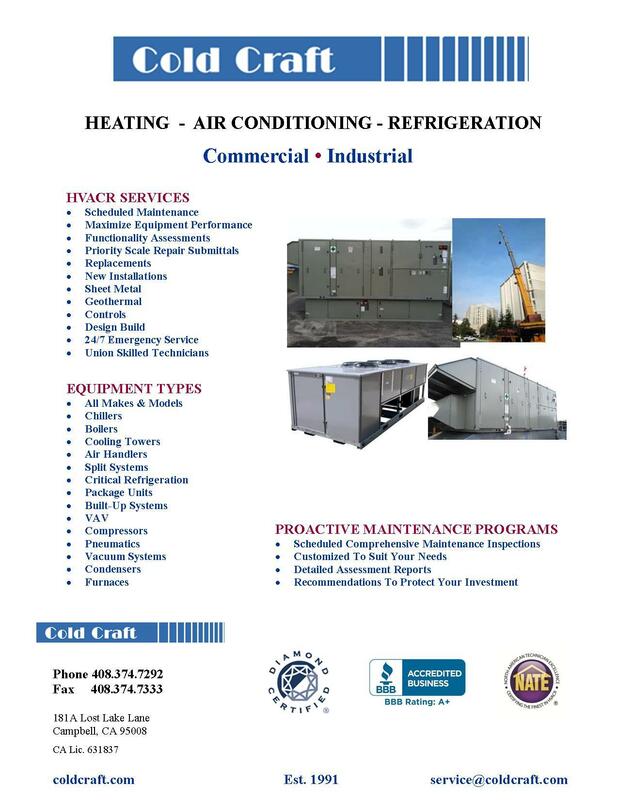 Call us at 408.374.7292 or see us at coldcraft.com. 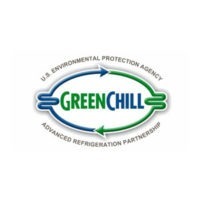 GreenChill Platinum EPA Designation For New Grocery Store Featuring Kysor Warren Cases.